Most of high quality passenger transport companies in Mien Dong (East) Coach Station have run out of Tet tickets, meantime tickets are still available in companies outside the station but prices have tripled over normal. Wellknown companies such as Phuong Trang, Thuan Thao, Thanh Buoi, Tran Tram have almost run out of tickets. Although stations in HCMC have affirmed no shortage of coaches for Tet travel but the number of high quality vehicles is not many. Passengers have been afraid of using normal quality vehicles in Mien Dong station because of low vehicle quality and services. Taking advantage of the situation, companies outside the station have tripled their fares. For instance, Hung Mai Company in Tan Phu district plying in HCMC-Quang Nam route has increased the price from VND250,000-400,000 to VND750,000-1,200,000 from February 9-13. 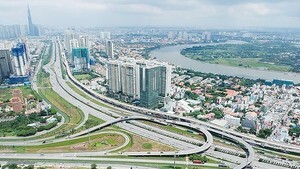 Similarly, other firms such as Xuan Tung, A Ty, Ba Nga and Tran Dinh operating in HCMC-Quang Ngai-Quang Nam-Da Nang-Hue route in Districts 12, Tan Binh and Tan Phu have also tripled their fares. Many companies operating in the routes of HCMC-central and Central Highlands provinces, in District 10 and 1 have also doubled or tripled fares. Businesses in Mien Dong Coach Station said that authorized agencies have permitted them to collect an additional fee of 20-60 percent of normal fare in ten days before Tet. The station’s leaders said that companies will be penalized if collecting more than 60 percent. However those outside the station can highly hike their fares. 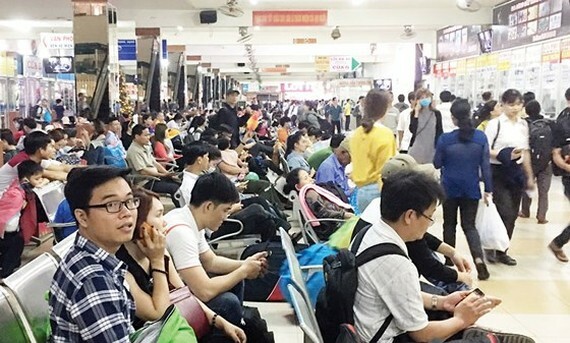 Inspectors from the HCMC Department of Finance said that the agency could not handle firms outside the station because they register transport services trading under contracts not fix routes as those in the station. Therefore they can negotiate fares with passengers instead of registering prices with authorized agencies. Meantime, inspectors from the Department of Transport are not eligible for handling ticket price hike but illegally parking and picking passengers at unauthorized stops outside bus stations. Many businesses in the station say that they comply with relevant regulations and pay station fees sufficiently but their fares are controlled. In the meantime outside companies do not have to pay the fees and can freely increase their fares. This has caused unhealthy competitive environment between businesses in and outside the station.